&Stitches: Meet Our New Bloggers: Christine & Sophie! Meet Our New Bloggers: Christine & Sophie! Yay! The &Stitches Team is very excited today to introduce you to our two new bloggers: Christine and Sophie! 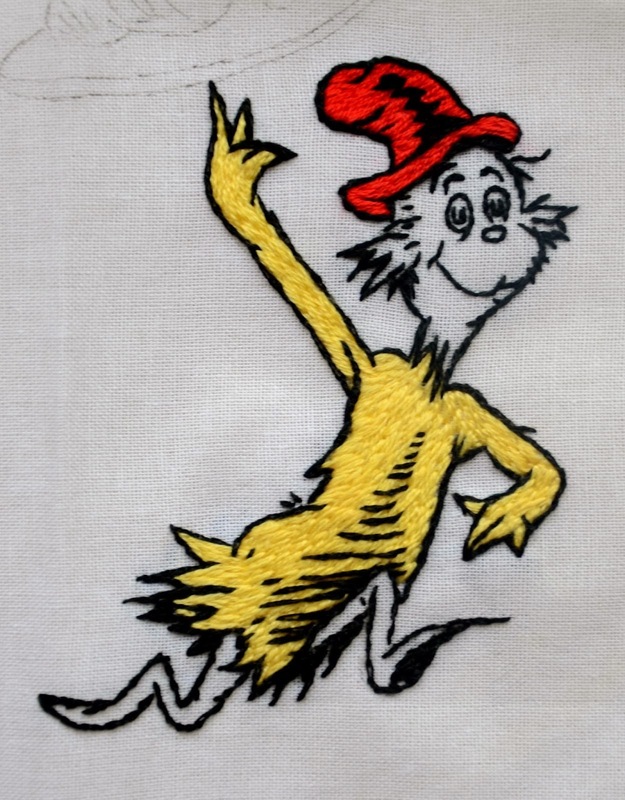 - such as this beautifully filled Sam (from Green Eggs and Ham by Dr. Seuss) embroidery-in-progress. Christine has only been blogging since April of this year, but she already hosts Stitching Sundays, where she links up with other stitchers and shares tips and projects. Christine also blogs about crochet and baking and whatever other crafty adventures she gets into, and is apparently quite an accomplished classical singer! Like myself, Christine is originally from the States but now lives in the UK. 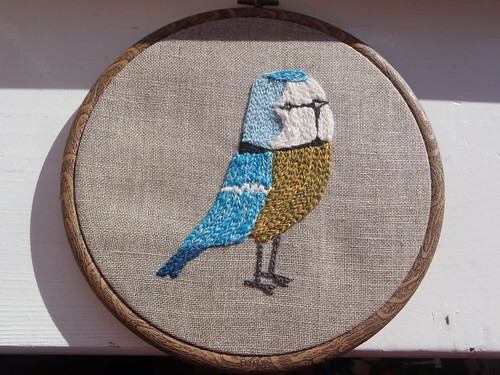 If you've never seen Sophie's embroideries before, I recommend a visit to her blog - she has tried everything from crewelwork (as in her Matt Sewell-inspired piece above) to stumpwork and it's always exciting to see what she'll do next! Her work has been featured on &Stitches here and here. Sophie is English born-and-raised and originally from beautiful Cornwall! Sophie and Christine will be posting here from time to time about whatever stitchy things inspire them to take to their keyboards! 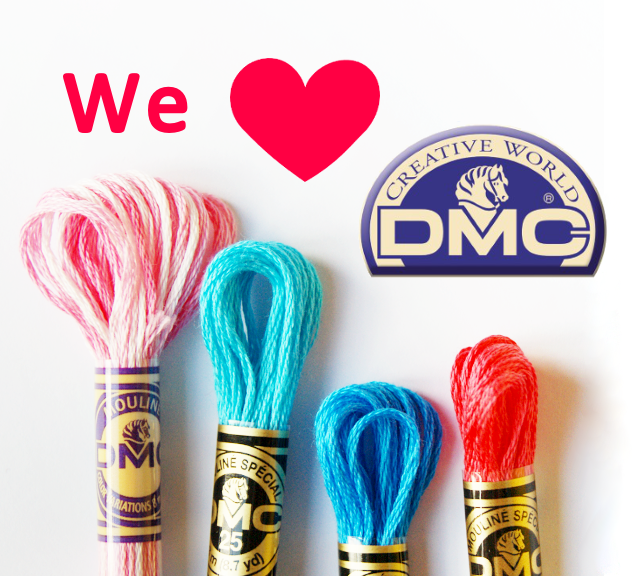 We're so happy to have them with us and we hope you'll join us in giving them a warm welcome!